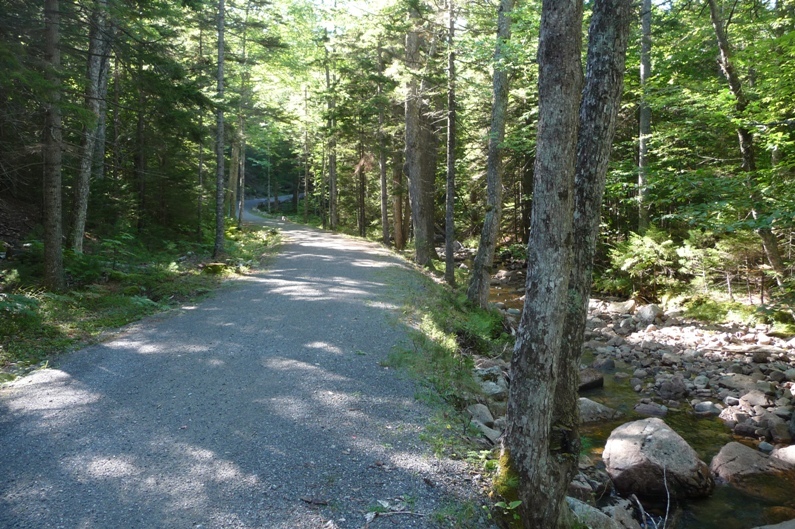 Having learned our lesson from our stop in Ogunquit, we dutifully avoided the most popular spots in Acadia National Park on the first nice day of a holiday weekend, and headed for the less populated ‘back country’ instead. We spent our morning biking some of the park’s 45 miles of broken stone carriage roads, built by John Rockefeller Jr. in 1913 and maintained in fantastic condition by the parks department today. The trails wind past streams and ponds and cross over 17 unique stone bridges. In the solitude of the back country (we only saw one other person on our travels) I thought how fortunate we are that someone had the wisdom and the resources to set aside such beautiful places for public use. 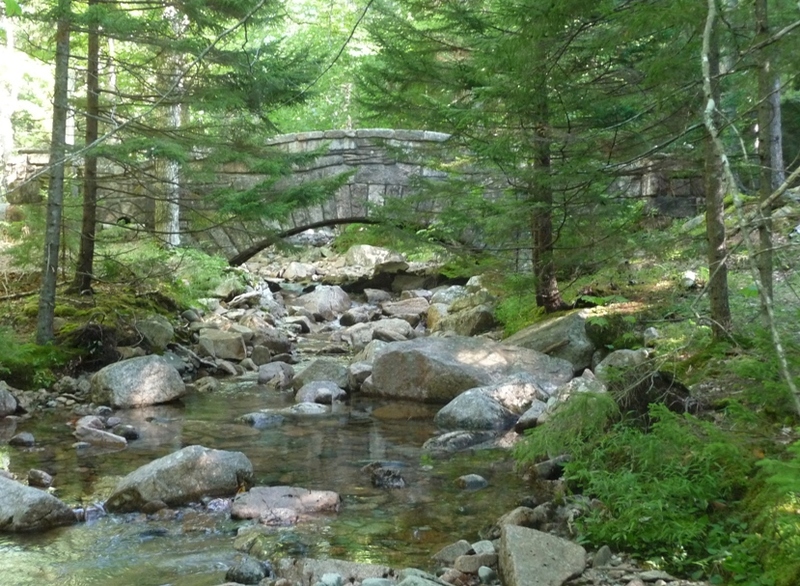 John Rockefeller Jr. donated an astounding one third of Acadia’s 35,000 acres, including the most spectacular track between ‘Thunder Hole’ and ‘Otter Cliff.’ He just as easily could have developed these natural wonders for private use or turned them into commercial monstrosities like Ausable Chasm in NY. We owe him, and countless others, a debt of gratitude for keeping these places accessible, and mostly unspoiled.